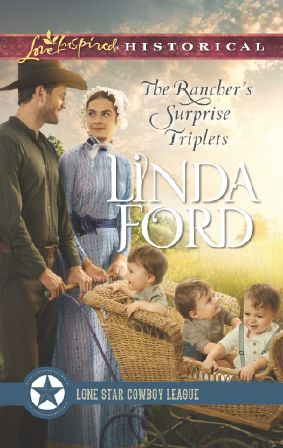 My book The Rancher’s Surprise Triplets features a county fair which the Lone Star Cowboy League hopes will raise money enough to fund their many projects. Ironically enough, I have another book out in July 2017 that also includes a county fair. I suspect most, if not all of us, have attended a county fair, a state fair, or even a local fair. I hadn’t given the history of fairs much thought, but my curiosity was aroused. The earliest record of a fair that I could find was in Ezekiel Chapter 27. "Tarshish was thy merchant by reason of the multitude of the kinds of riches with silver, iron, tin and lead, they traded in thy fairs." But from the description, it sounds more like our modern-day farmers markets. Other research verifies this, such as this picture by Flemish artist Gillis Mostaert 1590 (as found on Wikipedia). According to my research, the first known agricultural fair in North America took place in Windsor, Nova Scotia, in 1765 and continues to this day. The first American fair is thought to have been organized in Pittsfield, MA, in 1807 by Franklin Watson. It became known as the Berkshire County Fair and still operates as such today. Over the years the fair developed into local exhibitions of new agricultural implements and techniques, and plowing contests and horse pulls. Entertainment soon became part of the scene with horse racing, balloon ascensions, games of chance, and midway rides. I couldn’t find definitive dates as to when the fair began to include exhibition and competition of domestic products such as jams and jellies, handicrafts, baked goods, and garden produce. The prizes were usually rosettes –blue for first, red for second, and green or white for third. I find the bench show fascinating. There are samples from gardens, flower arrangements, pickles, and jams. There's baking—pies, bread, rolls, biscuits, cookies, and cakes (all with a bit taken out for testing). There's sewing. The quilts are beautiful, the crafts unique. And there's artwork—paintings, drawings, and photography. The adult entries leave me overwhelmed, but the children's entries blow me away. The level of expertise in their work, the creative energy evident is amazing. One entry I once saw was a Lego model depicting Main Street with the parade going by. There was such detail—a man in a wheelchair, children picking up candy, a garbage can at the corner—imagination and attention to detail evident in every piece. I find the bench show a veritable feast for the senses. The animal and machinery display not quite so interesting to me. 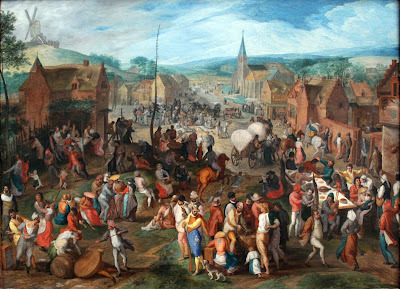 The fairs began and continue as a means of informing others of developments and local availability of goods and services. They include tribute to those who excel in various crafts and skills. I love a fair.